Panish Shea & Boyle LLP founding partner Adam Shea is a nationally recognized trial lawyer with extensive experience and success representing individuals and families in catastrophic injury and wrongful death cases in Los Angeles County, Orange County, San Bernardino County, Riverside County, and across Southern California. Mr. Shea has a proven track record of helping those who have been harmed by negligence, wrongful conduct, violations of safety rules, and defective products – including automotive and tire product defects. In this area, Mr. Shea specializes in bus and truck collisions involving other vehicles and pedestrians, accidents resulting from tire failures, rollovers of 15 passenger vans, trucks and utility vehicles, as well as cases involving claims of roof crush, defective fuel systems, defective restraint systems, seat back failures, child safety seat defects, airbag deployment failures, van conversion defects, and vehicle crashworthiness. He has obtained some of the largest jury verdicts and settlements in California in these types of cases and was an integral part of the trial team in Lampe v. Continental Tire that resulted in a $55.6 million verdict, which is the largest jury verdict in history in a lawsuit involving a defective tire. Mr. Shea also represents injured parties in cases involving commercial truck accidents, trash truck accidents, airplane accidents, helicopter crashes, train disasters, and governmental liability for dangerous condition of public property. He has achieved over 200 settlements and jury verdicts in excess of $1,000,000 in these types of cases, including numerous record settlements and verdicts, a few of which are listed below. $6,298,237 – Enriquez v. Gonzalez Travel & Tours Inc.
Mr. Shea is a member of the Los Angeles chapter of the American Board of Trial Advocates (“ABOTA”), and has been selected by his peers for inclusion in Best Lawyers of America, National Trial Lawyers: The Top 100 Trial Lawyers, and Super Lawyers. He has been recognized for his legal ability and ethical standards by the prestigious Martindale-Hubbell peer review ratings with an A-V rating, the highest possible rating. 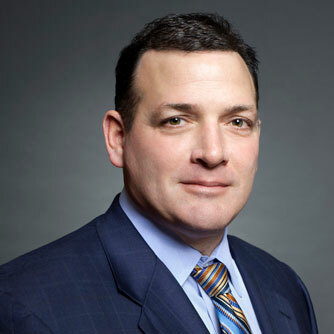 In 2011, Mr. Shea was a finalist for the Consumer Attorneys Association of Los Angeles (CAALA) Trial Lawyer of the Year for his representation of three young boys who lost both their parents when their van rolled over after a tread separation in the rear tire in the case of Barber v. Mossy Ford (San Diego Superior Court). The jury found that the car dealership had performed a faulty tire repair that led to the tread separation, and reached a record verdict of $14,465,864. Pre-trial settlements with other defendants resulted in a combined recovery for the family of $22,763,000 – as well as an agreement by the dealership to improve their training of its technicians to improve consumer safety. A frequent lecturer at a wide variety of legal education seminars, Mr. Shea travels throughout the country sharing his expertise with his professional peers. He has appeared on national news programs, including NBC News, and has authored numerous articles in legal publications on various topics. Mr. Shea is a member of several professional organizations, including the Board of Governors of the Consumer Attorneys Association of Los Angeles, the Board of Directors of the Attorneys Information Exchange Group, the Consumer Attorneys of California, Trial Lawyers for Public Justice, and the American Association for Justice. A 1990 graduate of UCLA, Mr. Shea earned his Juris Doctorate from Loyola Law School of Los Angeles in 1993. When on break from his legal practice, he enjoys spending time with his family and coaching his son in a variety of youth sports, as well as serving on the Board of several youth sports leagues, including the local football league, basketball league, and Little League.